What if your dedication to animal protection lived on long after you left this world? With proper planning, it can. By including Where Pigs Fly Farm Sanctuary in your will, you can help build a kinder future for animals for decades or even centuries after your passing. 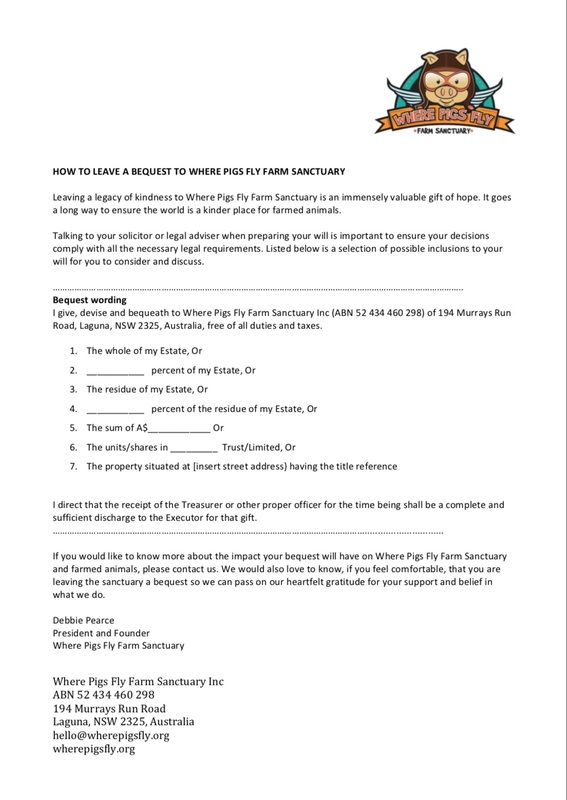 Please read on to find out everything you need to know about leaving a bequest in your Will to Where Pigs Fly Farm Sanctuary. Choosing to leave a legacy to Where Pigs Fly Farm Sanctuary will create lasting change for the animals close to your heart. Every dollar we receive goes towards rescuing and advocating for the most vulnerable and voiceless within our society, farmed animals. A symbol of your kind support, a bequest to Where Pigs Fly Farm Sanctuary will help bring hope to so many animals who once had none. As a registered, non-profit charity we receive no government funding and rely solely on the generous public, who believe in our work, to continue our mission of kindness. Every single day we work tirelessly for the animals we care so deeply about. We are on the ground rescuing and rehabilitating the farmed animals we can save and speaking out on behalf of the animals we cannot through our thought-provoking campaigns, humane education programs and educational farm tours. Hers is one story of hope only made possible by the valued support of people like you. Molly, named after ‘The Unsinkable Molly Brown’ from the Titanic, has been through absolute terror, survived and thrived. Before rescue, Molly was used as bait by humans to train pig-hunting dogs. When she was found both her ears had been ripped off and she had large, open sores over her body. The absolute terror and pain Molly would have gone through is heartbreaking. Thankfully, all the cruelty she endured is behind her now. We are so lucky to be able to give Molly the life she so deserves. Molly is home now, safe and loved. She need never worry again. We want to thank you for considering making a bequest to Where Pigs Fly Farm Sanctuary, but more than that, we want to say thank you for caring for animals as dearly as we do. We all seek to leave this world a better place than we found it, your donation, no matter how small it may seem, will go a long way to making the world a kinder place for farmed animals. We truly thank you for believing in our life-saving and changing work. We understand that deciding to leave a legacy to Where Pigs Fly Farm Sanctuary is a big decision, so we are here to assist. 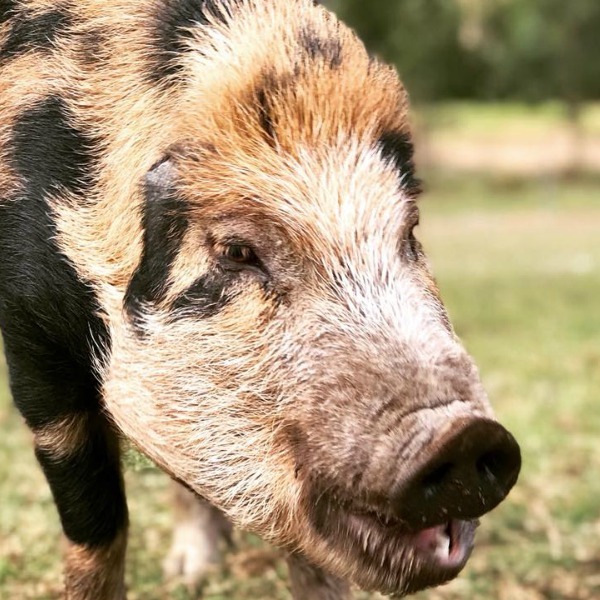 If you would like to know more about the impact your bequest would have on Where Pigs Fly Farm Sanctuary and the animals, please contact Debbie Pearce, Founder and President on 0421 666 890 or hello@wherepigsfly.org.